This morning before 7:45 the tree that obstructed the Mount Vernon Trail was removed. It probably took all of ten minutes to do. It has been pointed out to me that both the Mount Vernon Trail and Jones Point Park are owned by the National Park Service. I believe that the city maintains this section of the park. Either way, leaving this obstruction here for five days is not the sign of a bicycling friendly city. A bicycling friendly city would make sure that it’s bicycling infrastructure is treated with the same urgency as any street in its jurisdiction. 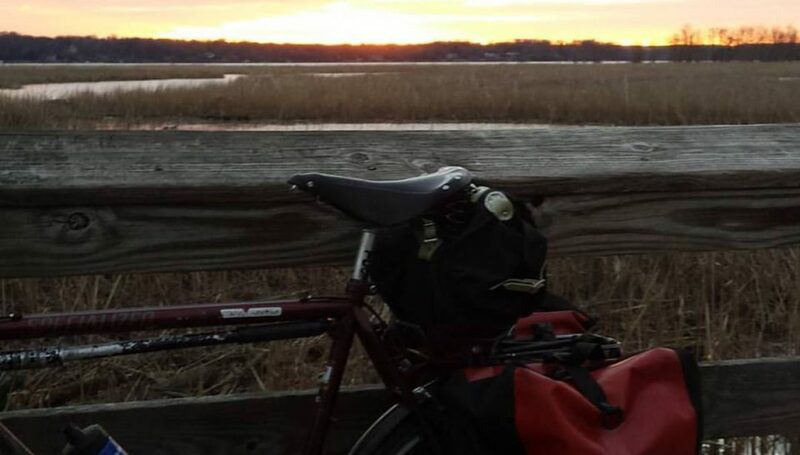 Posted on June 24, 2014 by rootchopperPosted in UncategorizedTagged "Mount Vernon Trail", #bikedc, Alexandria, Bike Friday, jones point park. Agreed. These things need someone to be on them, right away. Surely there are enough city employees for this to happen.